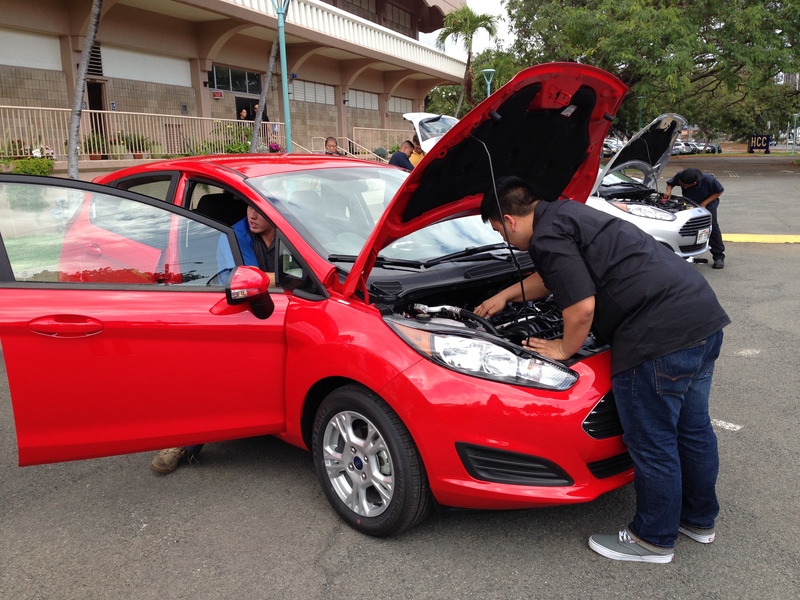 Hawai‘i’s best auto technology high school students gathered for the first time at Honolulu Community College for the 2015 Ford/AAA Student Auto Skills Challenge on Saturday, April 25 at Honolulu Community College. “We are excited to welcome back the competition to our campus. These high school students gained valuable experience testing their current knowledge base and working together as a team. 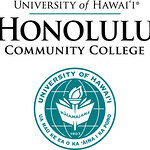 These are our future students and eventually future technicians,” says Bert Shimabukuro, Professor of the Automotive Technology program at Honolulu CC. The Ford/AAA Student Auto Skills Challenge is a nationwide automotive technology competition for high school juniors and seniors interested in pursuing careers as automotive service technicians. 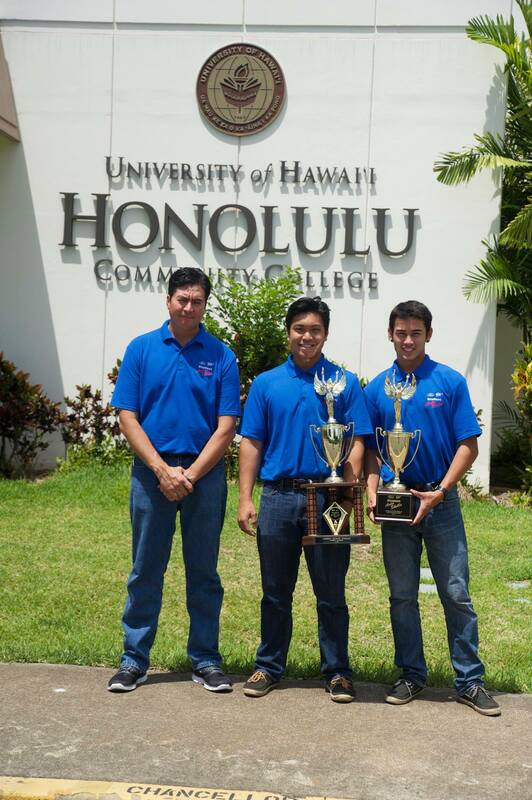 The competition tests students’ automotive knowledge, workmanship and problem-solving abilities with a written test and a hands-on race against the clock to diagnose and properly repair an intentionally “bugged” vehicle, prepared by current Honolulu CC Automotive students. The winning state team will travel to the 2015 national championship this summer at the Ford World Headquarters in Dearborn, Michigan. Millions of dollars in scholarships and prizes will be up for grabs for top finishers at the national championship. The Automotive Technology program at Honolulu CC is a comprehensive five-semester program master certified by the National Automotive Technology Education Foundation (NATEF) that prepares students for employment as automotive technicians. The program has maintained its NATEF certification since 1993, undergoing a review every five years. It is certified in all eight ASE areas: engine repair, automotive transmission and transaxle, manual drive train and axles, suspension and steering, brakes, electrical/electronics systems, heating and air conditioning, and engine performance.